Tui has been location independent for a year now, mostly working in indigenous issues related to the United Nations. 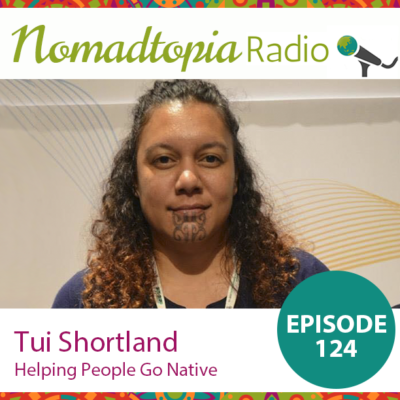 She's also the co-founder of Native XP, the global indigenous tourism platform. 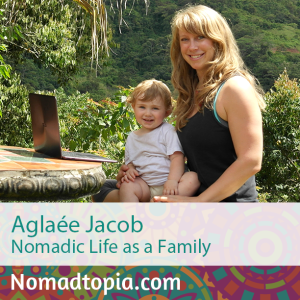 Her Nomadtopia allows her to balance home and travel while focusing on her passions. When Monique decided to embrace all of who she is—businesswoman, mother, and traveler—everything clicked into place. A couple years ago, she and her husband moved to Mexico with their two young sons, determined to create life on their own terms. Now they're loving life in Albania, where they continue to balance work, family, and travel. 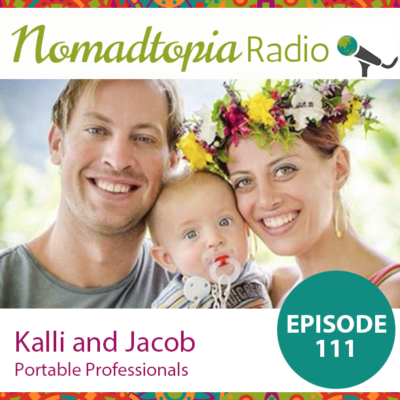 Kalli and Jacob started traveling full time in 2008 and have been or lived on all seven continents. Their son was born in Mexico City several years ago, and in 2017 they moved to Cape Town, South Africa, with a plan to live there for the next two years. 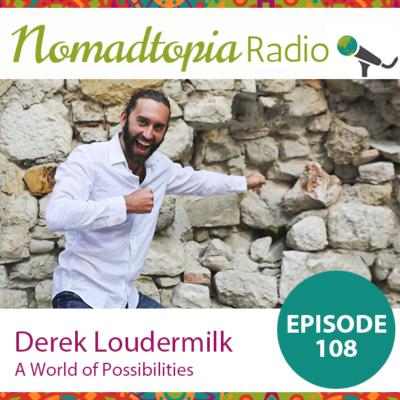 Derek has been a nomad for several years, and is now traveling with his partner, Heidi, and their 10-month-old son, Axel. He’s parlayed his experience as a professional adventurer into various entrepreneurial ventures, and this past summer realized that just three years after quitting grad school, he was actually living the “perfect day” he’d envisioned for himself. Now, he’s exploring a whole world of possibilities for what’s next. Gabriella and Vernon sold it all and moved their family to Mazatlán, Mexico, in October 2016. They have spent the last ten months growing closer as a family, raising three third-culture kids who are now 4, 5, and 6 years old, building their location-independent businesses, and simply living life on their own terms. After several years abroad, Naomi and her family moved back to the States, where she wasn't at all prepared for the challenges of repatriation. 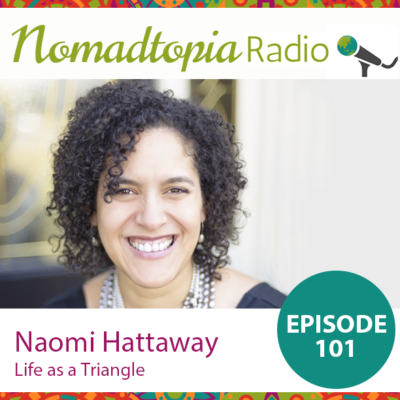 Learning about the idea that her experience had shaped her into a "triangle" helped her make sense of it all, and it led to her creating a thriving community of people living global lives. 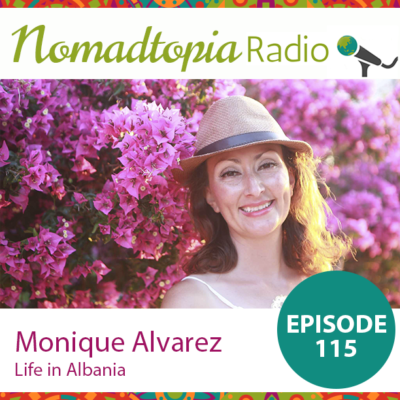 Tune in as we talk about what it means to be a triangle, differing experiences of being an expat (and why she'd like to remove that word from our vocabulary completely), and so much more. 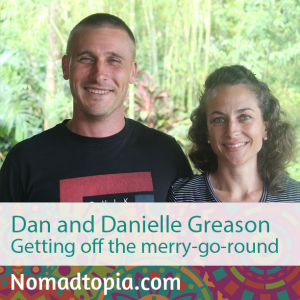 While living in Colorado, Marianne and her husband came up with the idea to move to Costa Rica. About five years later, with their young son in tow, they finally made it happen. Tune in as we talk about making a change on a long timeline and lots more. 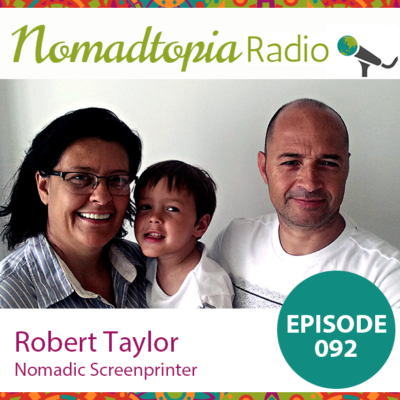 Robert Taylor is a screenprinter from South Africa. He and his wife are educating their four-year-old on the road as they travel, perfect their craft, and teach others a skill that they can actually use anywhere in the world. 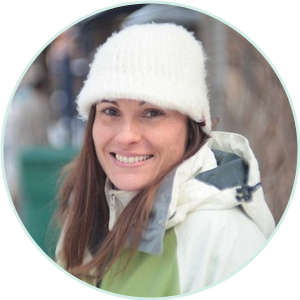 Emily set herself up as a location-independent freelance writer so she’d be ready to go anywhere her husband's job might take them, and they’re currently living in Maputo, Mozambique, with their two-year-old daughter (and another baby on the way!). 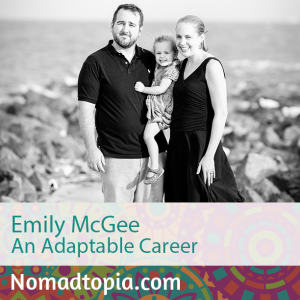 Although she considers herself a digital nomad by circumstance, not by choice, Emily loves living overseas and working remotely. 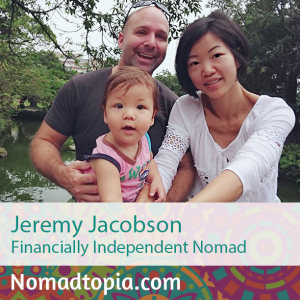 Jeremy and his wife, Winnie, achieved financial independence and retired in their thirties so they could travel and start a family. With their one-year-old son they now travel slowly, eating their way around the world. 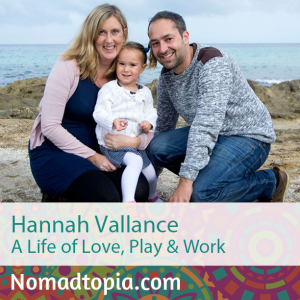 Since having their daughter in 2013 (and with a second child on the way), Hannah and her husband, Chris, have seen their travel lifestyle change to involve longer spells living in one new place rather than constantly traveling like many nomads do. They occasionally return to their flat in the UK for a few months at a time, and spend other periods focused on travel and living overseas. City life with two young kids left Dan and Danielle wondering when they’d be able to slow down and catch their breath. Eventually, they took matters into their own hands and intentionally chose to slow down by selling everything and leaving Australia in 2011. They have been enjoying a relaxed, fulfilling lifestyle in Costa Rica ever since, and have their sights set on new horizons for the future. 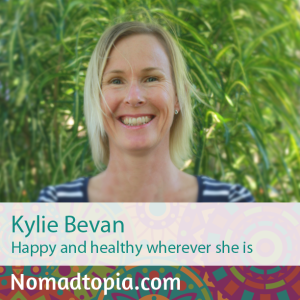 Longtime traveler and expat Kylie has relocated more than 15 times. Wanting to build more international experiences into their lives, her family jumped at the opportunity to move to Tonga in the South Pacific. 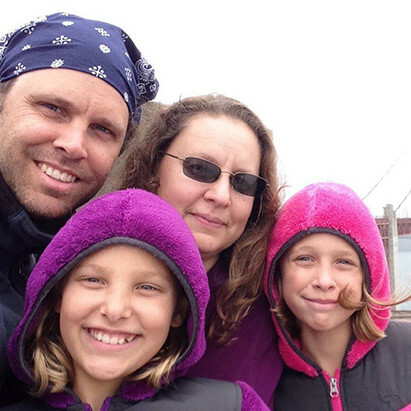 Kylie, her husband, and their two school-age daughters have been enjoying life there for nearly a year, and are excited to see where their next adventure will take them. 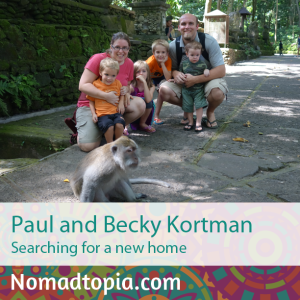 Paul and Becky have made choices over the years that just happened to make their family of six location-independent, and eventually they realized they had the freedom to live and work anywhere in the world. They’ve already toured parts of Southeast Asia, Europe, and Africa looking for a new home base, and are preparing to head overland through Central and South America as the search continues. 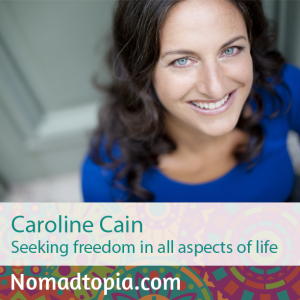 Caroline has been traveling since she was three weeks old and has lived in 11 countries. Her daughter, who is just two, has already lived in four countries! Caroline’s location-independent business has allowed her to be a hands-on mom while she and her family follow their travel dreams. 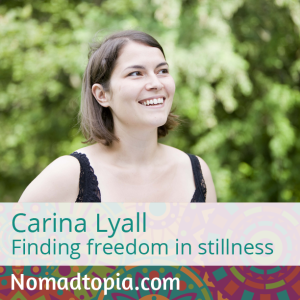 Carina spent most of her life moving around but now lives in Denmark. Because she’s location independent, she and her family have the freedom to live life as they choose, with fewer rules and more time to spend together. 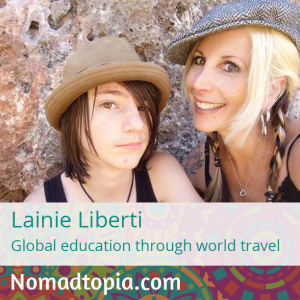 Lainie Liberti and her nine-year-old son, Miro, left the U.S. in 2009 for what was going to be a one-year adventure—and they’re still going! Continuing their slow travel through Central and South America, they allow inspiration to be their compass. Along the way they’ve taken a global approach to education, using the world as their classroom. 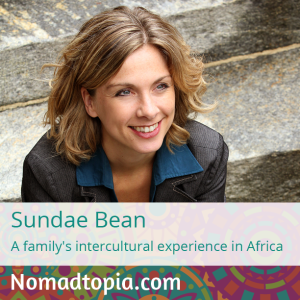 Sundae Bean lives in Ouagadougou, Burkina Faso, with her husband and two young children. Her husband is on assignment there, but thanks to plenty of vacation time and Sundae’s location-independent business, the family is able to spend two or three months each year visiting their home countries (the U.S. and Switzerland) as well as other destinations around the world. 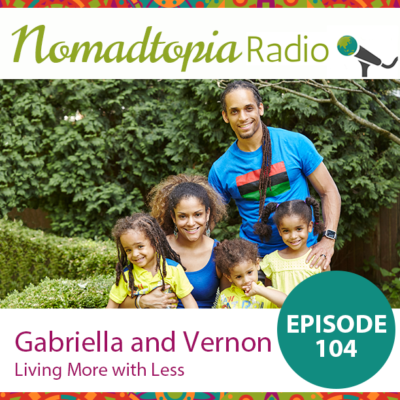 Tune in to hear our conversation about living in Africa, raising third-culture kids, and more. 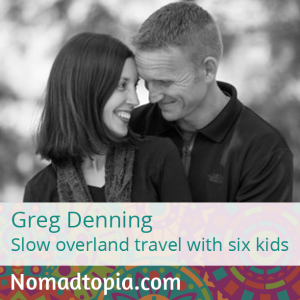 Whenever people tell me they can't (or don't know how to) live their Nomadtopia because they have kids, I tell them about Greg and Rachel Denning, who are slowly traveling overland from Alaska to Argentina (and beyond) with their six children, world-schooling as they go. Akira Morita is one half of Design Kompany, a "legacy-making design consultancy," and Orangutan Swing, where he and his wife, along with their five-year-old, have been visiting communities in Asia since April 2013. 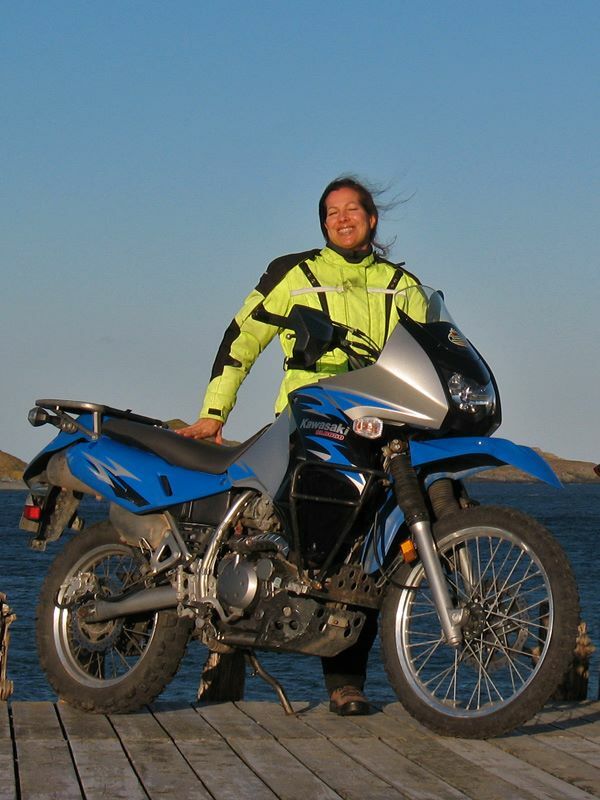 Tammy Perry is an eLearning specialist as well as an avid motorcyclist, photographer and traveler. She left her home in Canada to head to Guatemala in January 2014 and has been traveling ever since. 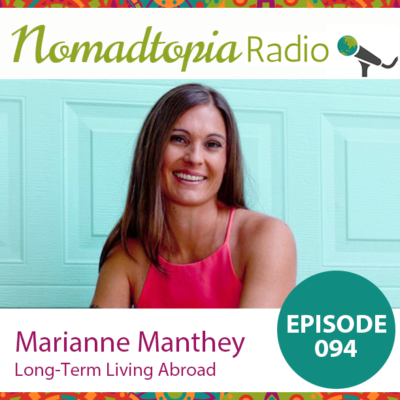 Marianne Manthey is a corporate web designer by day and on a mission, by night, to help bloggers beautify their blogs on a budget. She shares design trends and blog design tutorials for free at Design Your Own Blog. Have You Tested Out Your Ideal Lifestyle? Last summer, Christie Halmick of Jewels Branch and her husband, Jamie, who is also an entrepreneur, packed up their businesses and their twin daughters and headed west on a three-week road trip. 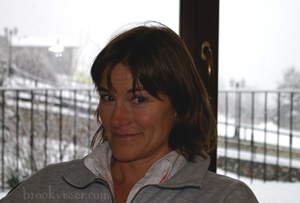 Brook Visser and her family live in Andorra. Find out how they ended up there and why they love it. 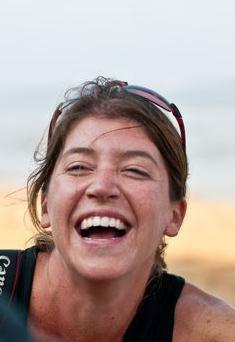 Carrie McKeegan is a location independent entrepreneur, mom, and travel junkie. Carrie and her husband run a financial business specializing in serving Americans living abroad, and in their spare time write a blog and host a radio show about how to run a business, toddler and newborn in tow, all over the world. 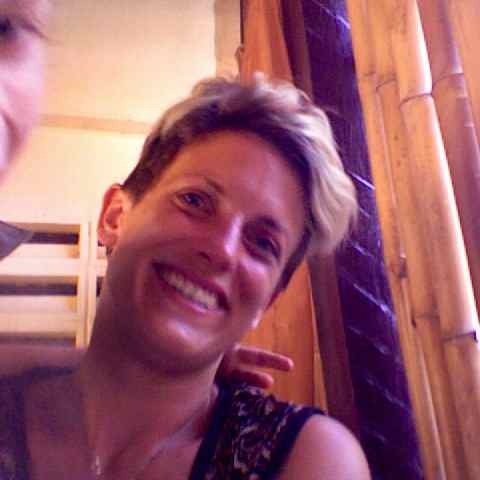 Theodora Sutcliffe left London in January 2010 for what was supposed to be a one-year trip with her 9-year-old son, Z. They liked it so much they've taken up a nomadic lifestyle.